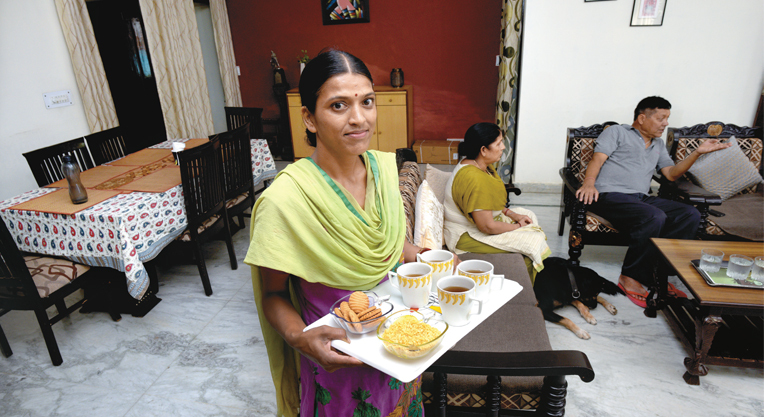 Anita Devi (32), a widowed housemaid and a mother of two children wanted to make more out of her meagre savings of Rs 8000 per month. Her bad experience with chit funds (committee funds) and visiting a bank always intimidated her, in addition to savings bank or fixed deposit accounts not being attractive due to their low returns. “I want an investment which will take care of my children’s future. My exposure to mutual funds have given me a confidence that am making the right investment”, says Devi who works in eight houses at Jolly Grant, Dehradun District. Like her, there are many in the hinterland of India who have found Mutual Funds as a new and refreshing investment option, thanks to Nivesh.com. Parvez Alam, a milkman, Sunil Singh Khattri, a tailor, Deepak Singh a grocery shop keeper have started investing Rs 500-Rs1000 per month in Mutual Funds. “Proper education and awareness was missing and we have filled in that missing link by offering our online platform and a dedicated retailer in Tier-II and Tier-III cities,” says Anurag Garg, founder and chief executive officer, Nivesh.com. Nivesh.com is currently operational in Delhi-NCR and in the states of Rajasthan, Uttar Pradesh and Uttarakhand. The company with presence in over 200 cities is looking to expand its footprints in Hindi-speaking states including Bihar, Punjab, Himachal Pradesh, Madhya Pradesh, Chhattisgarh and Jharkhand followed by eastern and southern parts of India in the next two quarters. 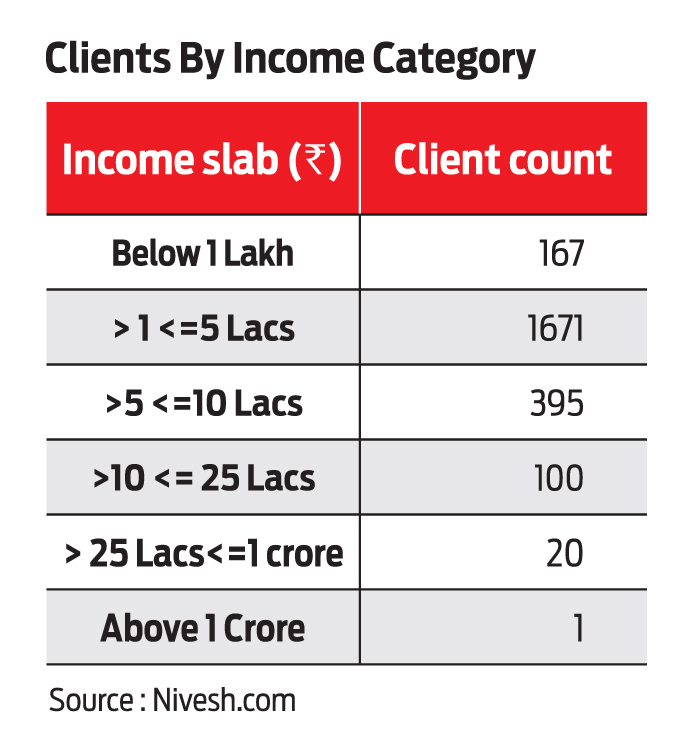 Garg stresses that over 70 per cent of Nivesh.com’s customers fall in the income category of below Rs 5 lakh per annum. “We follow the mantra that mutual funds are for all, irrespective of age and income group” says Garg. Nivesh.com follows a basic formula—create awareness regarding mutual funds as a capital growth instrument among the fence sitters. They understand investors’ objective and explain them while investing in mutual funds not to get disturbed by short-term fluctuations. Stay invested, have patience and the returns will follow. The online platform has followed a simple strategy of engaging people across segments including unemployed graduates, housewives, and senior citizens to promote mainstream financial instruments for wealth creation. Garg explains that his team has been able to generate employment in smaller towns by creating a network of distribution partners. However, team Nivesh succeeded in educating Panwar on mutual funds and he decided to start with a small personal investment. Gradually, he went on to become a partner and now has about 200 customers. Majority of Panwar’s clients are first-time investors. One such client, Himanshu Pal is a salesman with a monthly income of Rs 8000 who started a SIP of Rs 1,000 per month. Panwar also has several housewives who invest through him. Meanwhile, Yashwant Gupta of Alwar, Rajasthan narrates his struggle with managing mutual funds for people who stay in far off places. “I used to travel to Jaipur and haggle with companies for collecting clients’ statements. After I joined Nivesh I can do the same with a few clicks on my phone,” says Gupta. Shakil Ahmed of Jaipur, a small-time insurance agent was struggling with endless paperwork to service mutual funds. The paperless and online investment helped him service and add more customers. “It is a win-win situation for mutual fund companies where they don’t need to set up their own network and infrastructure to market their product,” says Garg. While globally India has the highest savings rate of more than 30 per cent, it is mainly invested in gold, real estate and other unregistered instruments like chit funds especially in Tier-2 and Tier-3 cities. This happens mainly due to lack of awareness and easy access to alternative options. Garg points that they have successfully merged technology and human touch to create a network that helps people in remotest corners of the country to have easy access to financial tools that have helped them in creating wealth for them as well as bringing liquidity in the Indian economy. No doubt it has brought disruption in traditional investment methods. The startup has witnessed huge growth rates from Tier 2/3 cities which is higher than the metropolitan and Tier 1 cities. Nivesh currently has an asset under management in the range of Rs 50 crore but has a target of Rs 10,000 crore in next five years from its network in the parts of India that are not serviced by the big players in the mutual fund industry.